On World Water Day, March 22, 2016, John Nadolski, Director of Church Engagement with Living Water International joined Cinco Ranch Rotary as our guest speaker. John shared the mission of Living Water of bringing a clean, safe source of water to everyone around the world. For More information, visit their website at: http://www.water.cc/. Cinco Ranch Rotarian James Tomberlin shared details with the club about his recent trip to Guatemala with Living Water International. 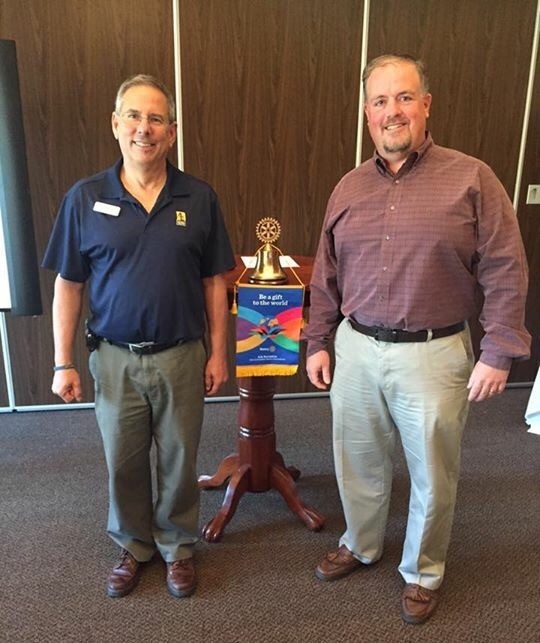 Pictured are John Nadolski of Living Water International and Cinco Ranch Rotarian, James Tomberlin.